Tickets to some of the hottest summer concerts at Ravinia go on sale Tuesday. HIGHLAND PARK, Ill. (WLS) -- Tickets to some of the hottest summer concerts at Ravinia go on sale Tuesday, but there are some you will not be able to buy. All tickets for the Tony Bennett and Lady Gaga concert are already sold out, as Ravinia's donors scooped up all the reserved seat and lawn tickets. Other popular shows like Chicago and to the Chicago Symphony Orchestra are expected to sell out quickly as well. 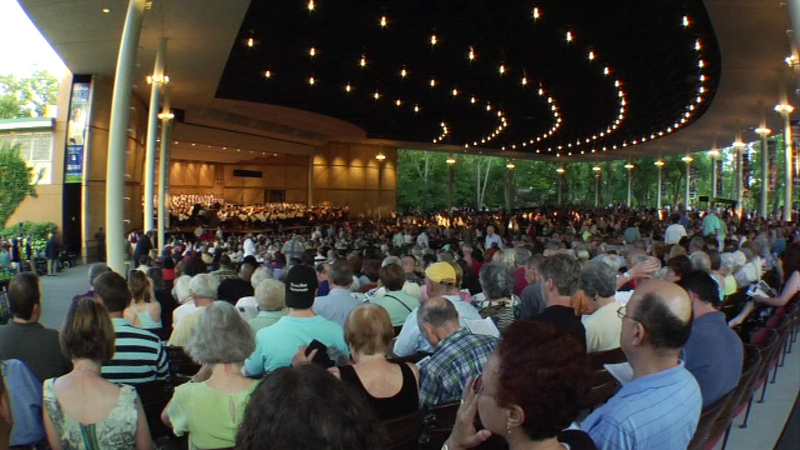 Tickets to 100 summer concerts go on sale at 5 a.m. on Ravinia's website.